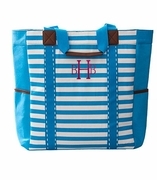 Monogrammed boat tote with embroidered fish design. Add your individual chosen text, GONE FISHING WILL NOT BE INCLUDED this is just an example. Natural durable canvas material with sturdy handles and contrasting bottom band.. 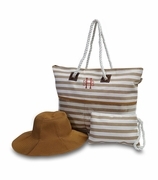 Medium weight canvas weekend boat tote for all essentials. Double stitched handles. Boat bag measures 16"H x 18"W, five inch wide bottom. 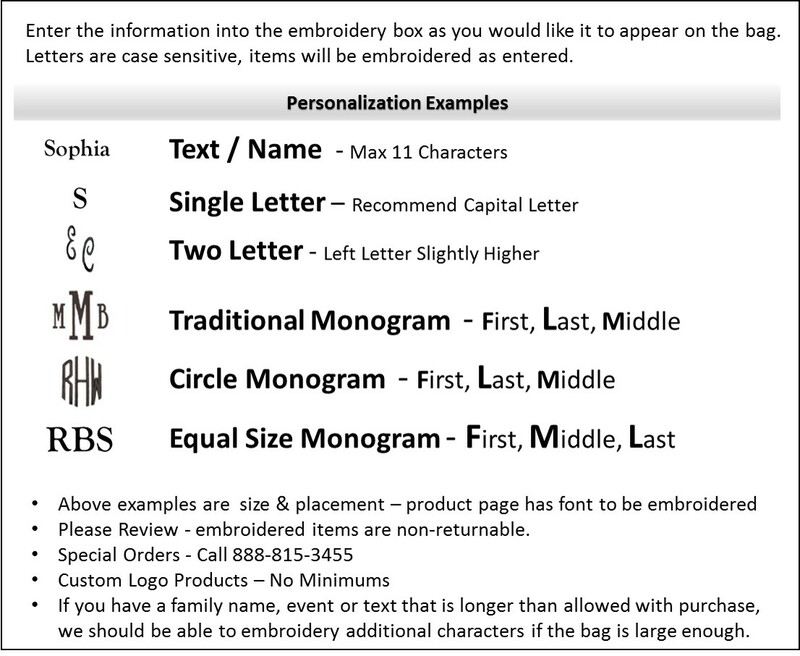 Includes name, single or three letter monogram or your choice of text.